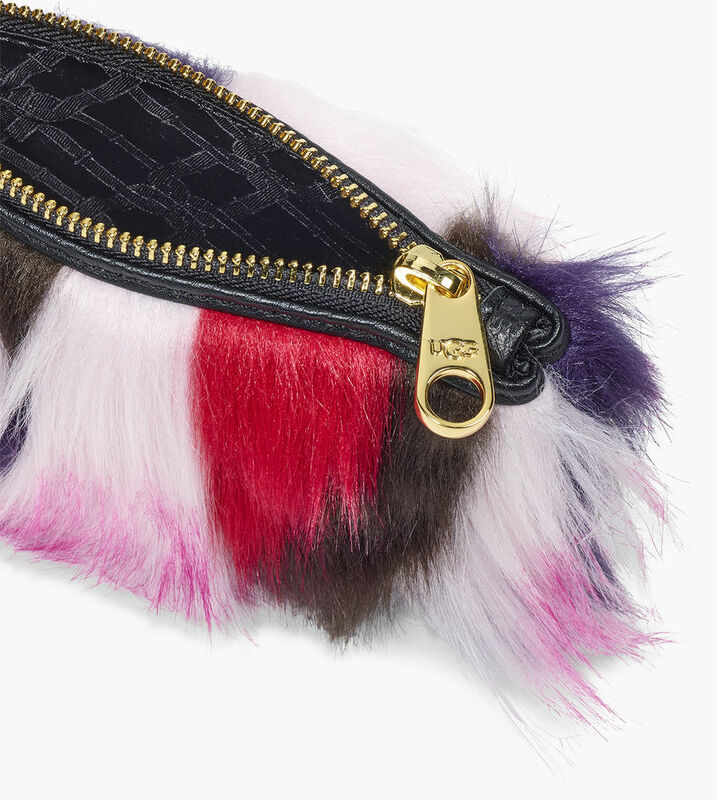 With multi-colored patchwork fluff, this soft pouch makes a distinctly high-fashion statement. It fits loose change, credit cards, jewelry, and other small things you need to keep safe. Tuck into your favorite purse or carry as is.